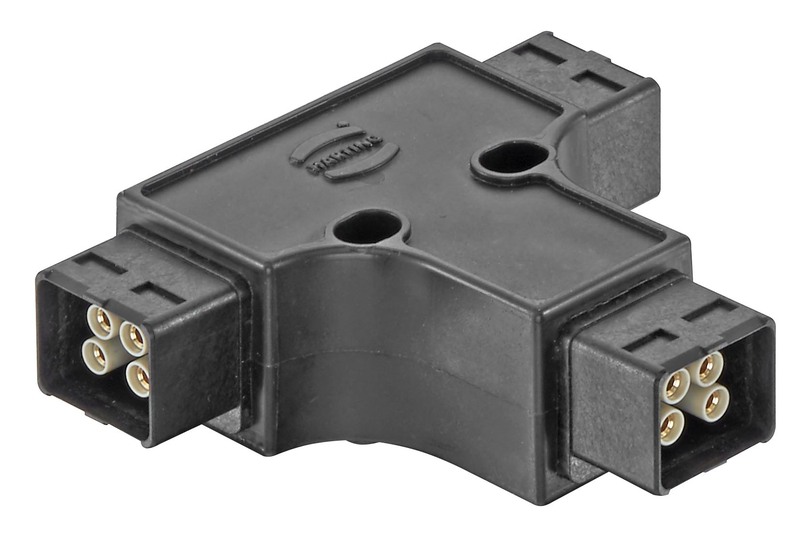 The latest model in the Han-Power® T series provides a PushPull connection for the power inlet, power outlet and user connection. The system has a rated current of 12 A and rated voltage of 48 V.
The range of the whole series extends from 12 A to 40 A, and rated voltages from 48 V to 690 V.
Han-Power® T products provide particularly robust connection: with the PushPull Power version, faulty connection is prevented by a polarization set into the insulator. This acts as a block if pins or socket contacts are connected to each other with the wrong polarity. Users will hear a click when the right connection is made. The connection is resistant to vibration and cannot be broken unintentionally – the housing and integrated locking mechanism have to be pulled back every time before opening (PushPull technology).